A week ago Mozilla introduced its new social API and also announced its first social integration with Facebook Messenger for Firefox. With the Facebook Messenger for Firefox users no longer need to keep Facebook open in a tab to be notified of new updates. 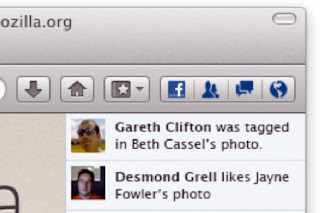 Facebook Messenger for Firefox keeps users connected to Facebook irrespective of the website they visit on the Firefox Web browser. It also allows users to chat on Facebook without having to navigate away from a Web page they are visiting and also view notifications, friend requests and messages by clicking the icons in the upper-right corner of Firefox. 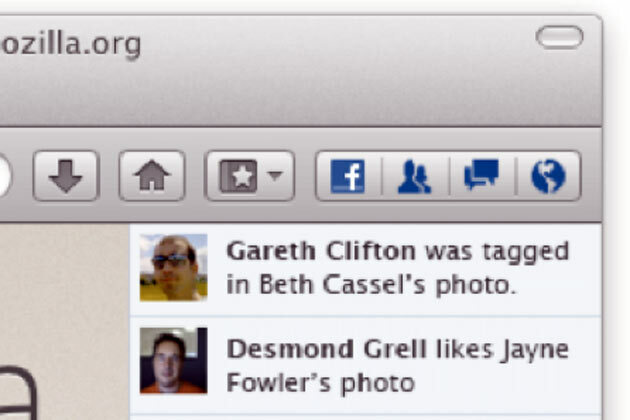 The Facebook sidebar also appears to the right displaying the news ticker and also chat contacts. The sidebar can be hidden by clicking on the Facebook icon in the upper-right corner of Firefox and deselect Show Sidebar. To get the Facebook Messenger for Firefox download and install the latest version of Firefox and then visit the Facebook Messenger for Firefox page and click on the 'Turn On.' button. To remove the Facebook Messenger for Firefox click on the Facebook icon in the upper-right corner of Firefox and then click on 'Remove from Firefox'. Mozilla will add more features to Facebook Messenger for Firefox and also bring in other social networking services.